But despite all this, there is no evidence the Canadian government attempts to arrest or even indict him before 9/11. (The Egyptian government does pressure the Pakistani ISI to capture him in the summer of 2001 (Summer 2001).) Khadr will be killed in Pakistan in October 2003. It will eventually emerge that he was a founding member of al-Qaeda and an important leader of that group (see October 2, 2003). Mahmoud Jaballah. [Source: Public domain via Toronto Star]Islamic Jihad operative Mahmoud Jaballah enters Canada on May 11, 1996 and applies for refugee status. There is evidence Canadian intelligence, the Canadian Security Intelligence Service (CSIS), begins monitoring him shortly after his arrival. A 2008 CSIS report mentions details of phone calls Jaballah makes to high-ranking Islamic Jihad leaders as early as June 1996. The CSIS will later conclude that his “primary objective incoming to Canada was to acquire permanent status in a country where he would feel secure in maintaining communications with other [Islamic Jihad] members.” Jaballah is wary his calls may be monitored, and uses code words to discuss sensitive topics. But the CSIS is able to figure out many of the code words, for instance the mention of clothes to refer to travel documents. Jaballah frequently calls Thirwat Salah Shehata, one of nine members of Islamic Jihad’s ruling council; the Egyptian government will later also call Shehata “a key figure in bin Laden’s organization.” They are in regular contact until August 1998, when Shehata moves to a new location in Lebanon but does not give Jaballah his new phone number. 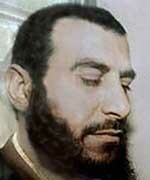 Jaballah also stays in frequent contact with Ahmad Salama Mabruk, another member of Islamic Jihad’s ruling council. 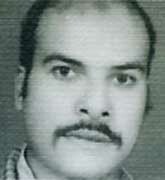 Mabruk is arrested in 1998. Jaballah is also in frequent contact with Ibrahim Eidarous and Adel Abdel Bary, two Islamic Jihad operatives living in London and working closely with Khalid al-Fawwaz, Osama bin Laden’s de facto press secretary. He calls them over 60 times between 1996 and 1998. Bin Laden is monitored by Western intelligence agencies as he frequently calls Bary, Eidarous, and al-Fawwaz until all three are arrested one month after the 1998 African embassy bombings (see Early 1994-September 23, 1998). Jaballah presumably becomes more suspicious that he is being monitored in September 1998, when Canadian officials interview him and tell him they are aware of his contacts with the three men arrested in London. The CSIS will later call Jaballah an “established contact” for Ahmed Said Khadr, a founding al-Qaeda member living in Canada. Khadr had been arrested in Pakistan in 1995 for suspected involvement in an Islamic Jihad bombing there, but he was released several months later after pressure from the Canadian government. After returning to Canada, Khadr ran his own non-profit organization, Health and Education Projects International (HEPI), and allegedly used the money he raised to help fund the Khaldan training camp in Afghanistan. If the CSIS was aware of Khadr’s activities through Jaballah, it is not clear why no action was taken against him or his charity before 9/11. Essam Marzouk is an al-Qaeda operative living in Vancouver, Canada. During one call, Jaballah is asked for Marzouk’s phone number. He says he does not have it, but gives the name of another operative, Mohamed Zeki Mahjoub, who is known to be in contact with Marzouk. Marzouk will later leave Canada to train the African embassy bombers, stopping by Toronto to visit Mahjoub on the way out of the country. Jaballah is monitored communicating with other Islamic Jihad operatives, including ones in Germany, Yemen, and elsewhere in Canada. Mahmoud Jaballah. [Source: Darren Ell]Mahmoud Jaballah is an Islamic Jihad operative living in Canada and being closely monitored by Canadian intelligence (see May 11, 1996-August 2001). On April 1997, Islamic Jihad top leader (and al-Qaeda number two leader) Ayman al-Zawahiri contacts Jaballah, and the phone call is monitored by Canadian intelligence, which later mentions that Jaballah tells al-Zawahiri about his status in Canada. In February 1998, Jaballah is given al-Zawahiri’s satellite phone number. Canadian intelligence later claims the number is “subsequently contacted many times by Jaballah.” [Canadian Security Intelligence Service, 2/22/2008 ] Presumably Canadian intelligence begins monitoring al-Zawahiri’s phone number by this time, but details about what they do, how long they are able to monitor the number, and how much they learn remain unknown. Khalid al-Fawwaz. [Source: CNN]The NSA is monitoring phone calls between bin Laden in Afghanistan and Khalid al-Fawwaz in London, yet no action is taken after al-Fawwaz is given advanced notice of the African embassy bombings (see 10:35-10:39 a.m., August 7, 1998). Al-Fawwaz, together with Ibrahim Eidarous and Adel Abdel Bary, are operating as bin Laden’s de facto international media office in London, and the NSA has listened in for two years as bin Laden called them over 200 times (see November 1996-Late August 1998). On July 29, 1998, al-Fawwaz is called from Afghanistan and told that more satellite minutes are needed because many calls are expected in the next few days. 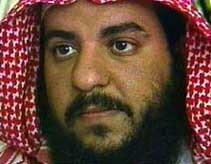 Al-Fawwaz calls a contact in the US and rush orders 400 more minutes for bin Laden’s phone. A flurry of calls on bin Laden’s phone ensues, though what is said has not been publicly revealed. [Knight Ridder, 9/20/2001] On August 7 at around 4:45 a.m., about three hours before the bombings take place, a fax taking credit for the bombings is sent to a shop near al-Fawwaz’s office. The fingerprints of his associates Eidarous and Abdel Bary are later found on the fax. They fax a copy of this to the media from a post office shortly after the bombings and their fingerprints are found on that fax as well. [Seattle Post-Intelligencer, 7/13/1999; Daily Telegraph, 9/19/2001] Canadian intelligence is monitoring an operative named Mahmoud Jaballah who is serving as a communication relay between operatives in Baku and London. He is monitored talking to people both in Baku and London just before the fax is sent from Baku to London (see August 5-7, 1998). The NSA has also been monitoring the operatives in Baku (see November 1996-Late August 1998). It is not clear why the Canadians or the NSA fail to warn about the bombings based on these monitored phone calls. Before 9/11, bin Laden’s phone calls were regularly translated and analyzed in less an hour or so. It has not been explained why this surge of phone calls before the embassy bombings did not result in any new attack warnings. The three men will be arrested shortly after the embassy bombings (see Early 1994-September 23, 1998). Ibrahim Eidarous (the picture has been edited to cover a window reflection on his face). [Source: Bureau of Prisons]Mahmoud Jaballah is an Islamic Jihad operative living in Canada, and all his communications are being monitored by Canadian intelligence. He has already been monitored frequently contacting Ibrahim Eidarous and Adel Abdel Bary, two Islamic Jihad operatives living in London and working closely with Khalid al-Fawwaz, Osama bin Laden’s de facto press secretary. He also has been in frequent contact with Ahmad Salama Mabruk, a member of Islamic Jihad’s ruling council living in Baku, Azerbaijan, and Thirwat Salah Shehata, another ruler council member with Mabruk in Baku at the time (see May 11, 1996-August 2001). Fax Names Nairobi and Dar es Salaam Bombings in Advance - The fax takes credit for the embassy bombings in the name of the “The Islamic Army for the Liberation of the Holy Places,” a previously unused name. It states that “The ruling to kill the Americans and their allies, civilians and military, is an individual duty for every Muslim who can do it in any country in which it is possible to do it in order to liberate the Al-Aqsa Mosque and the holy mosque (Mecca) from their grip.” It specifically calls the bombing in Nairobi the “Holy Ka’ba operation,” and bombing in Dar es Salaam is called the “Al-Aqsa Mosque operation.” It adds that two men from Saudi Arabia carried out the Nairobi bombing and that one man from Egypt carried out the Dar es Salaam bombing. This in fact is what happens several hours later. The operatives in London then fax the statement to a number of press agencies after the bombings, including Al Jazeera and the Associated Press. [United States of America v. Usama Bin Laden, et al., Day 27, 4/4/2001; United States of America v. Usama Bin Laden, et al., Day 38, 5/2/2001; CNN, 5/2/2001] So Canadian and US intelligence had an opportunity to give an advanced warning about the bombings. It is not known why they do not do this. Canadian intelligence has been monitoring Mahmoud Jaballah, an operative in Canada serving as a communications relay between high-ranking Islamic Jihad figures (see May 11, 1996-August 2001). He is monitored as he relays a series of phone calls between operatives in London and Baku, Azerbaijan, in the days and hours before the African embassy bombings on August 7, 1998 (see August 5-7, 1998 and 10:35-10:39 a.m., August 7, 1998). He is in communication with Thirwat Salah Shehata and Ahmad Salama Mabruk in Baku; both belong to Islamic Jihad’s nine member ruling council. On August 8, Mabruk again calls Jaballah and tells him to contact an operative in London to give him Mabruk’s latest phone number. He asks Jaballah to tell others not to contact him anymore, since he and Shehata will soon be leaving Azerbaijan and their phone numbers there will no longer work. Shehata does leave Azerbaijan shortly thereafter, but soon contacts Jaballah through an intermediary to tell him of his new location in Lebanon. However, he says he does not have a telephone there and falls out of contact with Jaballah after that. [Canadian Security Intelligence Service, 2/22/2008 ] Shehata and Mabruk have just been directly implicated in the embassy bombings, since they sent the fax taking credit for the bombings to bin Laden’s press office in London several hours before the bombings. Phone calls to them monitored by Canadian intelligence make their role clear (see August 5-7, 1998). However, there is no known attempt to apprehend the two of them in Baku, or Shehata later in Lebanon. Mabruk is captured in Baku later in the month, but this stems from a Mossad tip to arrest someone else, and Mabruk is unexpectedly at the scene of the capture and picked up as well (see Late August 1998). Shortly after 9/11, the US will include Shehata on a list of the 12 most wanted terrorist suspects. Since then his whereabouts are unknown, but there have been no reports that he has been captured or killed. He is considered to be involved in funding al-Qaeda. [Agence France-Presse, 5/22/2003] In 2005, MSNBC will suggest he is being held in a loose house arrest by the Iranian government with a number of al-Qaeda leaders (see Spring 2002). 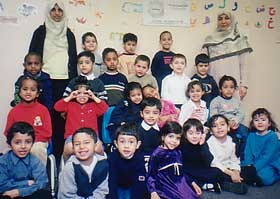 Children at the Um Al-Qura Islamic School, where both Jaballah and Shehab served as principals. [Source: Um Al-Qura Islamic School]On June 27, 2001, Nabil al-Marabh was arrested while trying to enter the US from Canada. He is already wanted in the US for skipping bail on an attempted murder charge, and US intelligence has linked him to al-Qaeda (see June 27, 2001-July 11, 2001). He is held in Canada. About two weeks after his arrest, there is a court hearing to determine if he should be released. His lawyer argues that he should be released because his uncle, Ahmed Shehab, can keep him in line. The lawyer does not mention that Shehab works at a school headed by Mahmoud Jaballah. Canadian intelligence has been closely monitoring Jaballah since 1996 and has overheard him communicating with many top militant leaders, including al-Qaeda number two Ayman al-Zawahiri (see May 11, 1996-August 2001 and February 1998). Presumably Canadian intelligence is well aware of Jaballah’s job at the school discussed in the hearing, yet this is never mentioned to the judge. Jaballah had been arrested in 1999 for suspected ties to Islamic militants and then released, and his school job had been mentioned in media reports. 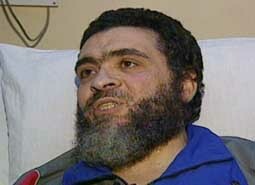 In August 2001, he will be arrested again, and Shebab will replace him as principal at the school. [Globe and Mail, 11/4/1999; New York Times, 10/14/2001; Toronto Star, 7/17/2004] While in jail, al-Marabh is visited by Hassan Almrei, who had been his roommate earlier in the year (see October 19, 2001). [MacLean's, 12/10/2001] Almrei will also later testify that in 1995 he obtained a false passport for al-Marabh, and that after al-Marabh’s arrest in June 2001, al-Marabh asked him to obtain a second false passport for him. [Canadian Security Intelligence Service, 2/22/2008 ] Canadian authorities were investigating Almrei since at least September 2000, and may have suspected his role in a plot against the Toronto airport by this time (see January 2001-Summer 2001). But authorities either do not notice al-Marabh’s links to Jaballah and/or Almrei or do not care, because he is released on bail on July 11 and immediately disappears.